Coming from the South - follow the Bruce Highway and exit at the Eumundi/Noosa offramp. Turn right at the roundabout, left at the next roundabout, and you’re in the main street Memorial Drive. Coming from the North – follow the Bruce Highway and exit at the Eumundi offramp. Take the second exit off the roundabout, and follow for less than a kilometre, and you’re in the main street. Coming from the southern Sunshine Coast – Maroochydore, Mooloolaba, Caloundra – head North on the Sunshine Motorway, turn left at the roundabout on Eumundi-Noosa Road then follow it to Eumundi. Turn right at the roundabout as you get into Eumundi, and you will end up in the main street. 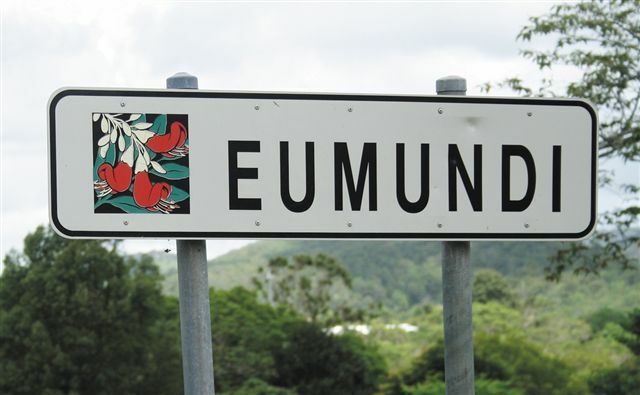 Coming from Noosa - follow the Eumundi-Noosa Road to Eumundi. Turn right at the roundabout as you get into Eumundi, and you will end up in the main street. Coming from interstate or overseas - Virgin Australia and Jetstar operate daily flights into the Sunshine Coast airport from Sydney and Melbourne. From the airport, head North on the Sunshine Motorway, turn left at the roundabout on Eumundi-Noosa Road, and follow all the way to Eumundi. Turn right at the roundabout as you get into Eumundi, and you will end up in the main street.